Today’s townland is Tullyveery, to the northwest of the town of Killyleagh in County Down. 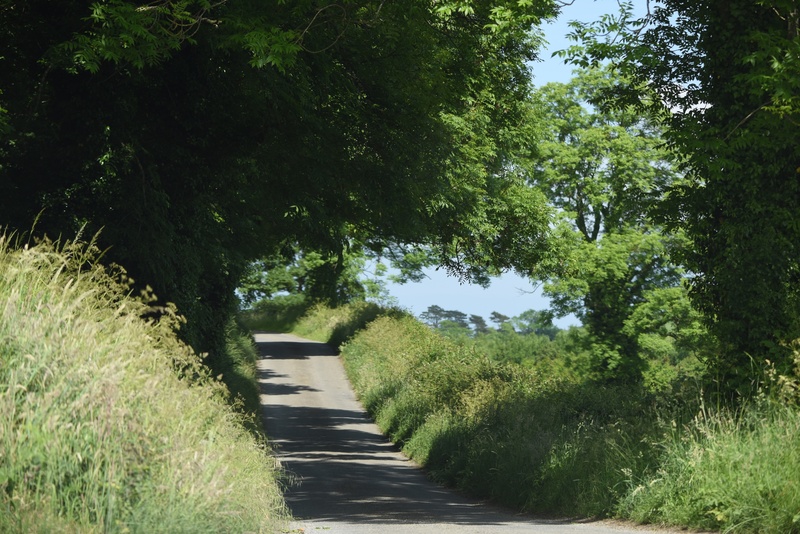 Most of Tullyveery is farmland, with the Ardigon Road and Tullyveery Road winding their way around the drumlins. 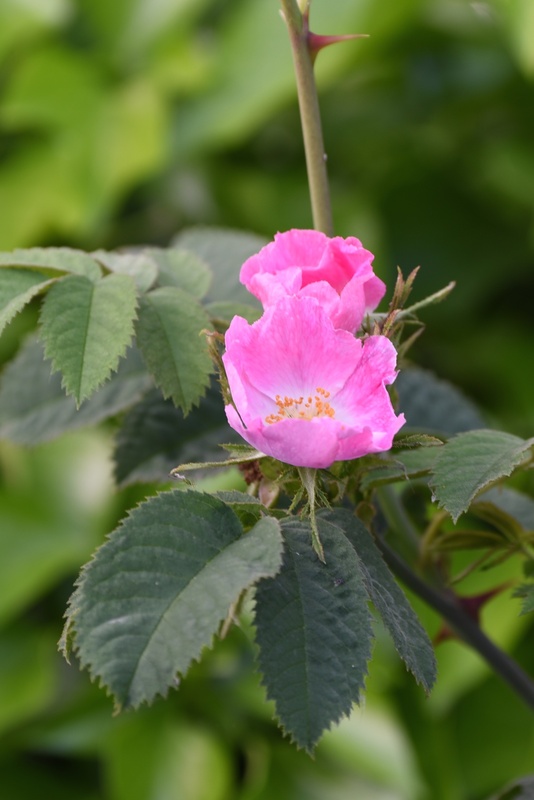 When I drove through in June, the hedgerows along the roadside were laced with wild dog-rose and honeysuckle. 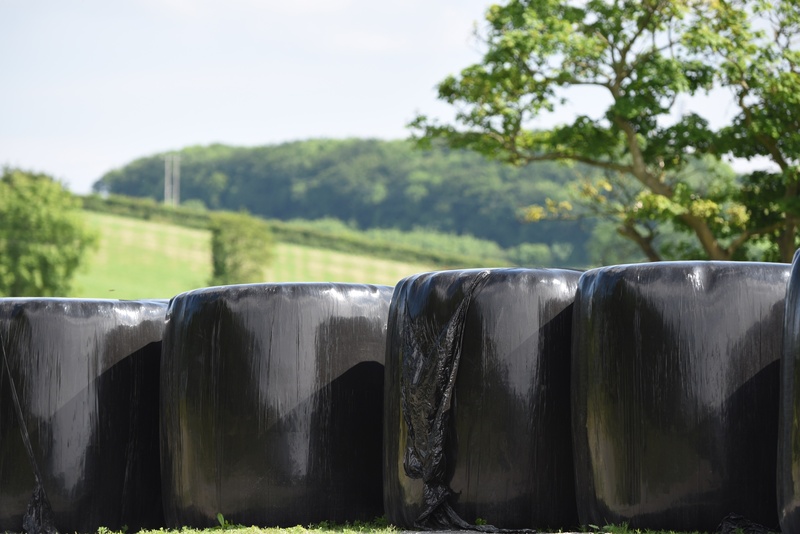 Silage had already been cut and baled to feed the local cows. 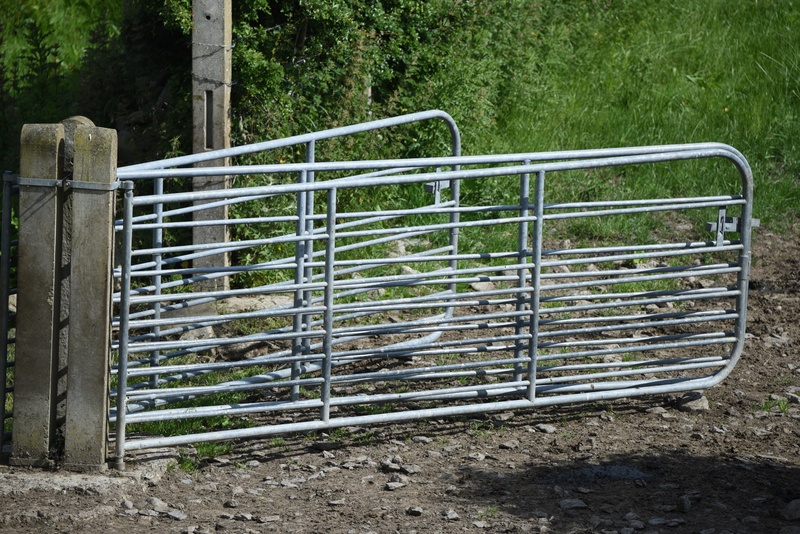 I’m pleased to see that the cattle also have more than enough gates to last them through the winter. 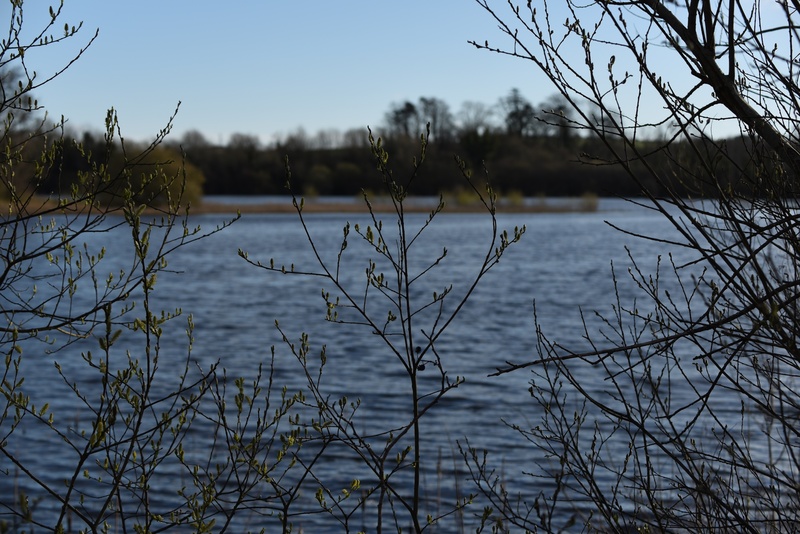 The northern edge of Tullyveery townland juts out into the Clea Lakes, which were formed as water collected naturally in the hollows between the drumlins, with a series of hollows ending up flooded and interconnected. 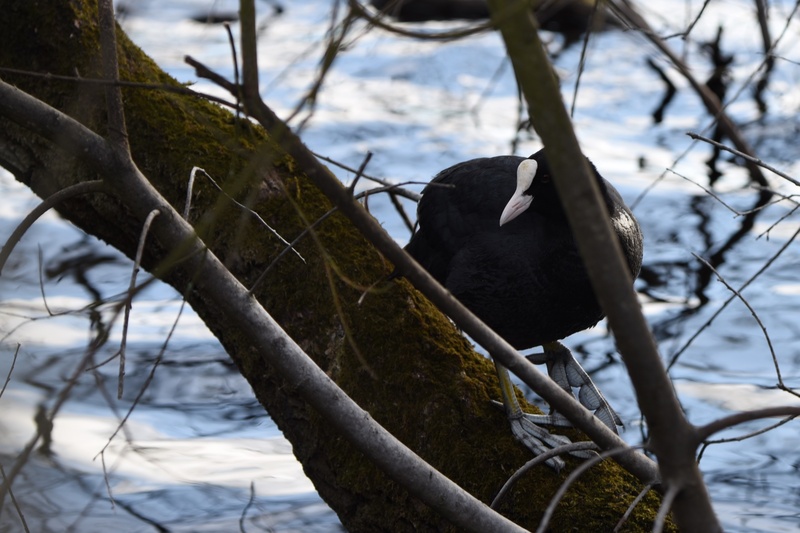 Back in April, this coot was hiding in the trees right beside the Clea Lough Road. Tullyveery House is a large Georgian country house, named after the townland. It is still a working farm, but also provides a venue for weddings. As you get closer to Killyleagh, you see reminders of Tullyveery’s industrial past: a tall chimney from a 19th century cotton mill, and a monument to the mill owner, John Martin. As the mill thrived, a village named Shrigley grew up around it. Shrigley still exists, but things have changed. The Victorian buildings have gone; the local houses were built in the 1970s; and NI Plastics use their Shrigley factory to make a twinwall polypropylene sheet called “Corriboard”. 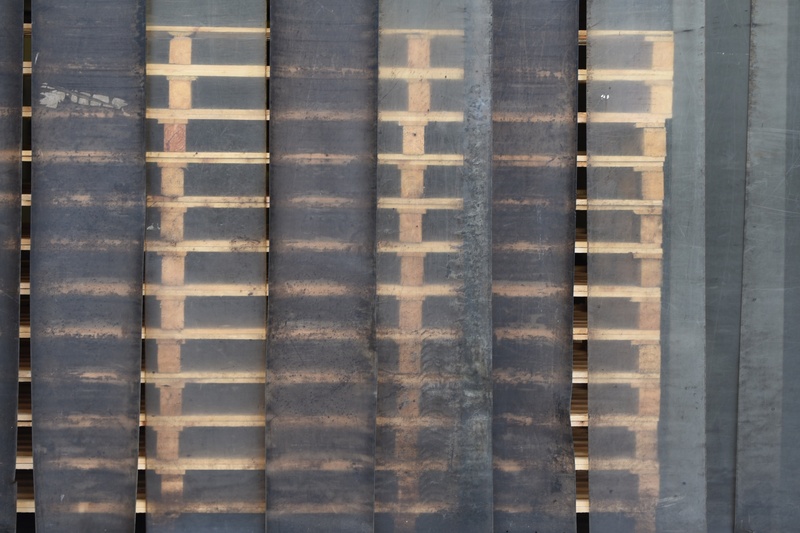 I don’t have a photo of Corriboard, just a suggestion that the factory has plenty of pallets for shipping. In Killyleagh churchyard I found a memorial tablet with the name of the townland, spelled “Tullyvery”. 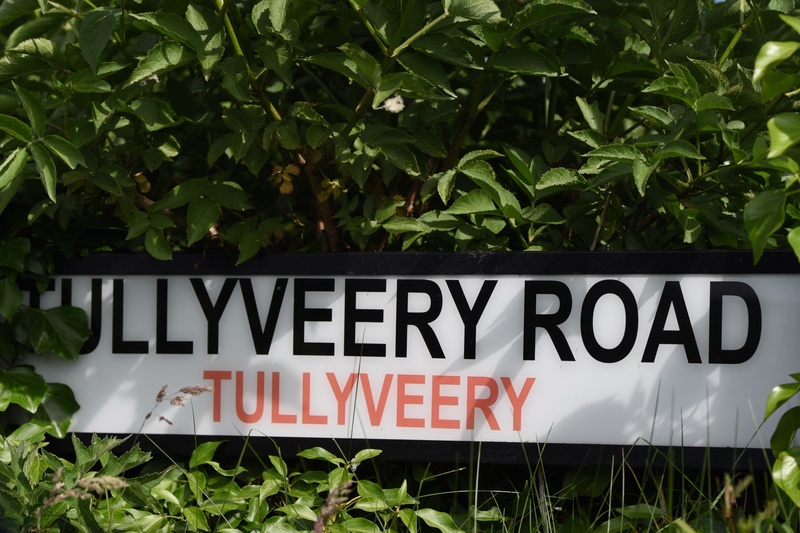 According to the PLACENAMESNI website, the name Tullyveery came from the Irish Baile Buí na Míre meaning “yellow townland of the portion”, or possibly from Tulaigh Mhíre meaning “hillock of the portion”. 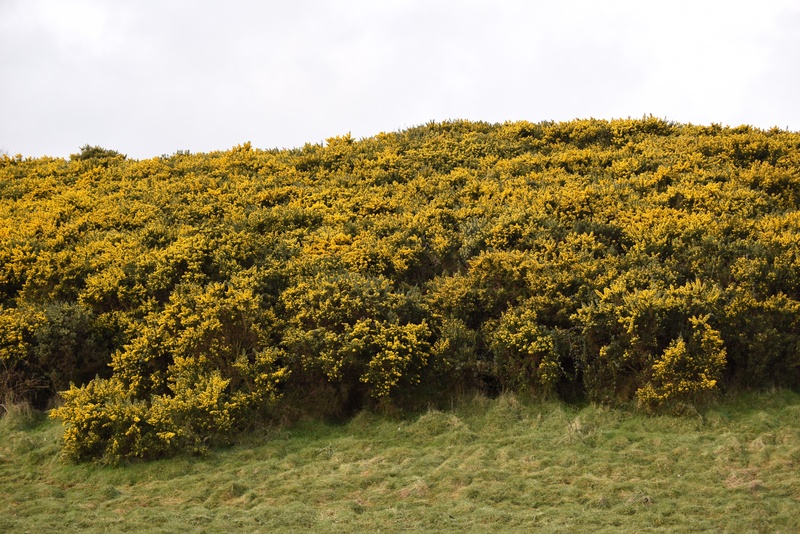 Luckily, I found a yellow hillock, covered with whins (gorse) blooming in April 2016. 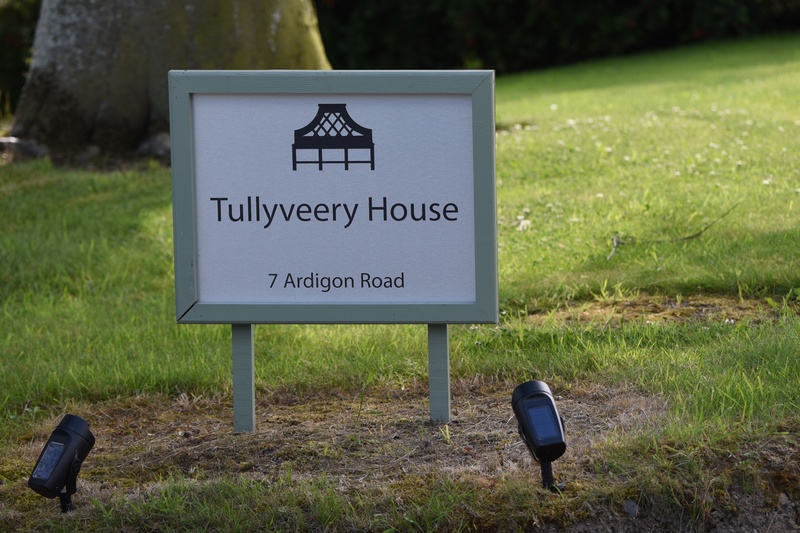 Click here for more information on Tullyveery House. Click here for the press report of a book about Shrigley written by Chris Hagan. 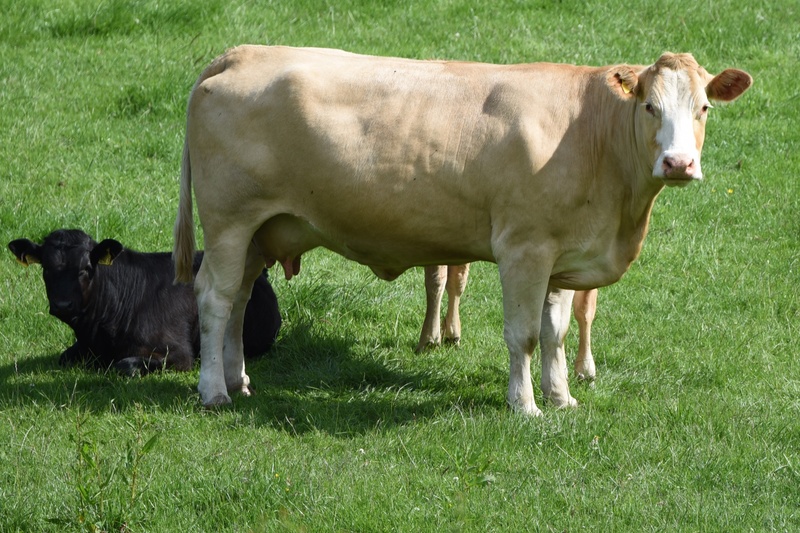 Which townlands border Tullyveery? On the other side of the Clea Lakes, Lisinaw, Clay and Tullymacnous. 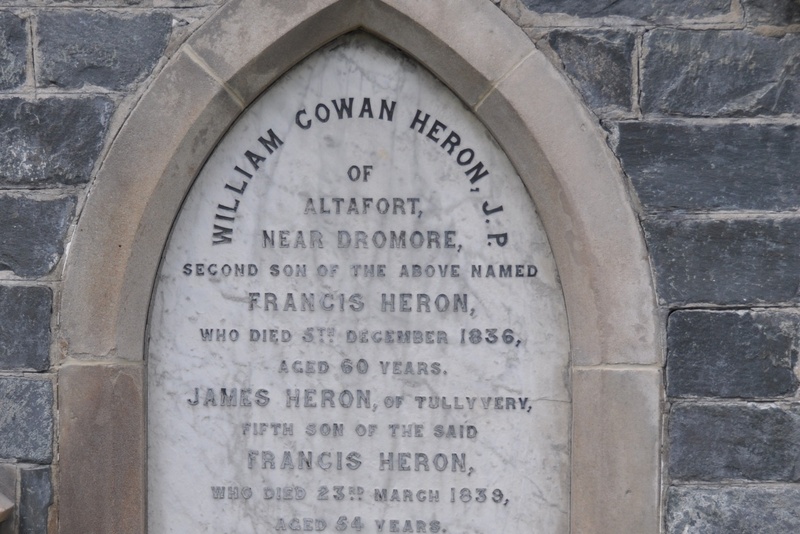 To the east, towards the town of Killyleagh and Strangford Lough, Moymore and Corporation. To the west, Ballywillin and Derryboy.